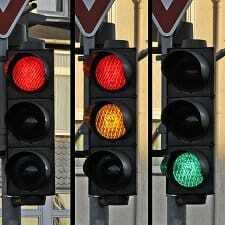 Red, Yellow, Green: Is Your Job Right For You? I thought it was an extraordinary talk, and thinking back to my old legal career I knew exactly what he meant by “red” — the vast majority of my days were filled with red tasks. So let’s discuss here, ladies — if you look at your career (or job) from a micro-perspective of the day to day — how much of your day is filled with green tasks? How much of your day is filled with red tasks? Let’s take it a step further — are those red tasks something you can delegate to subordinates? Are they growing pains (a necessary part of growing, after all, is doing the work you’re not quite ready for yet) or are they just unpleasant tasks (to you) that will always be unpleasant? What a great analogy. I can relate to this CEO. Two years ago, I was in the green zone. I had just enough responsibility and had earned the respect of colleagues and bosses. Now that I’ve been promoted to a director role, I’m in the yellow/red zone … a lot. I can do it, and am told that I’m doing it well, but I’m not enjoying it much at all. Being part of a high-functioning team is a lot more fun than trying build and lead one, particularly in the dysfunctional environment of higher education. I’m capable of leading, but it takes a lot out of me, which hasn’t been great for my family or personal life. It’s really sad — I’ve worked my tail off to advance my career, and the higher-level job is making me really unhappy. Now I’m trying to figure out my next step, which unfortunately will probably involve leaving my organization or moving to a different department. My old position is filled and getting a new position approved is near impossible. I definitely agree with you. Being in a higher position means getting bigger responsibilities. Time comes that work balance is not applicable anymore. Either you have to lie a bit low or get away from all the stress. Oooh I love this one. I’m a lawyer. Law school was definitely a good fit for me. Practice of law… at the junior level definitely was not. I’m not detail oriented at all, and that is so huge. I’ve found ways to compensate, but I really wish the purpose of my job wasn’t literally to be detail oriented. It doesn’t help that I used to take medicine for ADHD, including in my first year of practicing law, but had to stop for other health reasons. I’m the exact opposite, law school felt like a slog for me to get through, but I’ve been really happy in practice so far at the junior level in BigLaw. I’m actually not looking forward to moving up the ranks, because right now I’m basically interchangeable with other people and it is much easier to take vacation time, find ways to get to the gym, etc. than it will be when I get more senior. Also opposite. Law school felt like such a waste of time and I didn’t learn anything that relates to transactional practice. The only reason I went back after 1L was because I got to do actual work in the summer and I remembered why I wanted to be a lawyer. Practicing is so much better than law school! What are your techniques? I am finding this to be a problem, and currently take medicine to focus. Any advice/encouragement for someone who found at relatively late in the big law game that they won’t make partner? Ack, I thought this was the coffee break post. Oops. Oh wow, this post brought me some needed clarity on my work situation. This fall I was tasked with managing a new team at my company, but then the VP whose idea it was left, and I’ve been foundering. There wasn’t much of a vision established for the team before she left (existing employees but new structure), plus I’m new to managing, so I really wasn’t sure what to do. When the post mentioned red tasks, I immediately thought of everything to do with team management. I’m not really sure what to do about that now — asking for tasks to be taken away from me is probably not a great idea — but at least now I can forgive myself a little for not enjoying this part of my job. I also have no work life balance. When I was in law school, I did NOT know anything about law practice so I just went with the flow. I just thought that being a lawyer involved goeing to court and settleing cases, like on TV, and it has not turned out a lot like that. There are a lot of men who ooogle me in court and that was NOT something I was prepared for. Also, having a guy like Frank to work with is an experience that I never contemplated. Now that I am a partner I thought I would have a staff, but aside from Carol, who starts next week, my “staff” has consisted of a guy whose father is a friend of the manageing partner who did little more than have s-x with my assistant, and my assistant, who does little more than have s-x with him now, but at least no longer in the conference room. Carol has some experience, and that is a good thing, though it has been in Antitrust litigation, which is not identical to WC litigation. I think she will be fine b/c Mason was such a looser. FOOEY on loosers! This is a good topic to discuss. Above discussions lead me to wonder though: how would you tell “red” from a new challenge which you need to put in significant effort to adapt to, and which once you’ve adapted to, would become a new “green” for you? Such a good topic, I need to look at that Hogan test. I liked law school well enough because I love learning new things (but I should have paid even more attention to the fact that the one class that absolutely lit me up was reading law in another language – other languages light me up). Years in law firms? Blah, all red, all the time. The essential dryness of transactional work (to me) and the huge mismatch in culture, values, goals, belief systems, personalities, etc. between me and big firm partners made that pretty unpleasant. I enjoy in-house life MUCH more, more green there for sure, but was made a manager two years ago (I currently have one direct report). I was unprepared for how strongly I’d dislike managing and having someone looking to claim more of my time, that part of the day is still mostly red, occasionally yellow. Give me subject matter mastery and leave me alone! (all green). 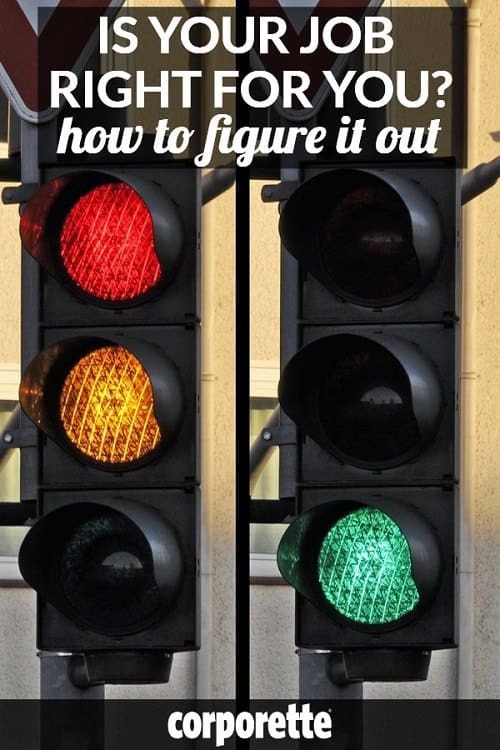 Nice topic… I think there are only 3 options if found a red light, 1) As mentioned in a previous comment adapt to it and turn it into green. 2) change career which may suits to you and which is green for you. 3) Stop the career and take rest!!!! Easy to say but I know it is really difficult when the light is Red as I too face the same…..